Religions from around the world--Buddhism, Hinduism, Catholicism, Islam, and many more, including the Pagan earth religions--use prayer beads as useful guides to remembering prayers and principles. 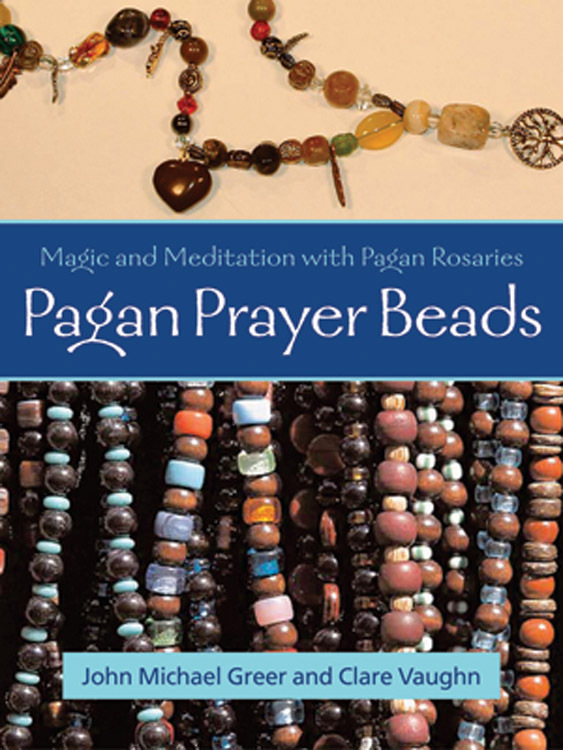 Pagan Prayer Beads by John Michael Greer and Clare Vaughn is a unique and practical introduction to the design, creation, and use of Pagan rosaries, teaching the reader to design and make personal prayer beads for use in myriad spiritual practices. Co-written by a beading expert (Clare Vaughn) and one of the leading lights in modern Paganism (John Michael Greer), this book will garner an eager audience--from beginners to elders--looking for new inspiration in their personal spiritual practice. Beautifully written, instructive, and straightforward, Pagan Prayer Beads is user-friendly and easy to understand. Lovely black-and-white photographs accompany the text to further illustrate the art and craft of Pagan prayer beads. The how-to sections were "tested" by novices to both crafting and "the craft," who found the directions clear and easy to follow. Throughout the book, Greer and Vaughn have included fascinating history and lore as well as crystal properties, Pagan symbology, and deeply meaningful prayers and rituals to use with the rosaries. * 30 lovely black-and-white photos accompany the beading instructions.